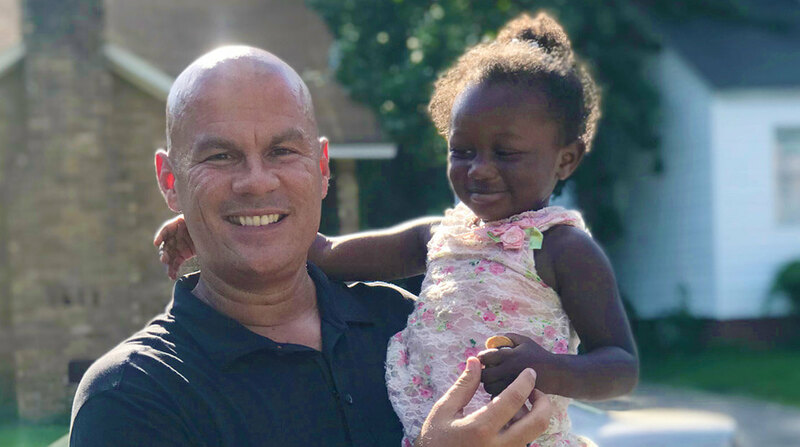 After only three years as an Arkansas police officer, Officer Tommy Norman received an unexpected request. A murder suspect from another jurisdiction insisted on speaking with him. The two had never met, and more to the point, Tommy had yet to work on a homicide case. The suspect, whom Tommy remembers as a “homeless gentleman,” surrendered to him that day. As curious as it was, Tommy came to understand that his reputation had preceded him. The suspect no doubt knew of the police officer’s way with people and of the many – on both sides of the law – who had come to trust him. Today, more than 15 years later, Tommy still gets chills when he recounts the episode. But he talks about it regardless. It’s an important chapter in his story; the one about a 20-year police officer who has become a folk hero to an entire community, not to mention a shining light to hundreds of thousands around the country. Tommy realized when he was a young teen that kindheartedness was his gift. Though he wanted to be the next Michael Jordan, he knew that wasn’t likely. Something else happened around that time that pointed him toward his true calling. He saw a television ad for Feed the Children. Tommy gathered the money he had earned mowing lawns and asked his mother to send it to the organization. “I knew then my purpose,” he says. He grew up outside the city of North Little Rock, the youngest of nine children. 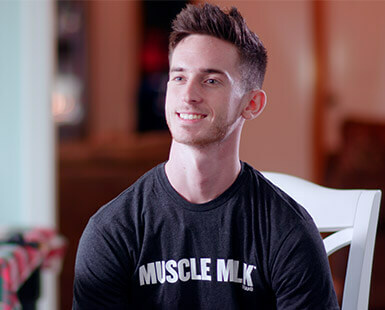 Tommy credits his mother and older brother Michael – a father figure – with teaching him the importance of taking care of people. When he joined the police department, he saw plenty of need. (Tommy’s beat is a lower-income part of the city.) But he admits he was nervous. “I didn’t know how I’d be accepted,” he says. Early on, people with nothing to hide would scatter when they spotted a uniformed officer or a patrol car. It even happened one day with young children on a playground. Tommy saw which apartment they ran to; he knocked on the door. These days, Tommy is more like the pied piper than an enemy of the people. 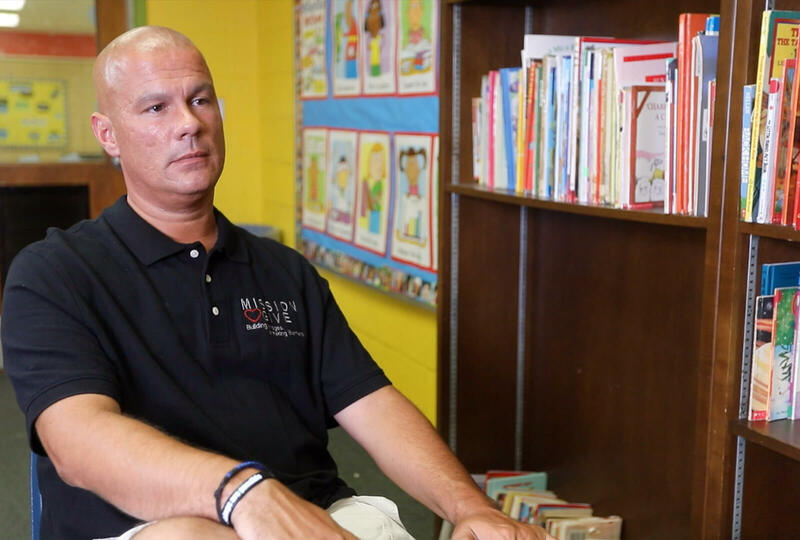 When he’s on duty, he’s on the streets, talking – and listening – to members of the community and regularly stopping by the local Boys & Girls Club, for example. Fellow officers do the same, he says. Despite his fair share of dangerous situations in 20 years on the force, he’s never fired his weapon. When his shift ends, Tommy changes into jeans or shorts and a polo, hops in the familiar black Yukon and continues to work his magic. Known as Officer Norman far and wide, he rides around with a trunk full of cold drinks and snacks for the kids, and gifts that come in from his social media followers. Sometimes he’s just checking in to make sure all is well or to set a date for breakfast or a movie. Dedra Hood’s friendship with Tommy goes back 17 years. She met him when she was a member of the Wetherington Boys & Girls Club. She now heads up the club as unit director. “He has a really great heart for service. I think it’s something that’s very dear to him,” she says. I just wanted to teach them not to be afraid. Tommy is a regular presence at the club, manning phones during a recent telethon and catching as many games as he can. At other times, worried parents will call and ask him to talk to their teenagers. Tommy’s popularity skyrocketed in 2015, the year CNN came to call. The news outlet was looking for a story to balance a glut of coverage about tension between local police departments and citizens – especially those of color. 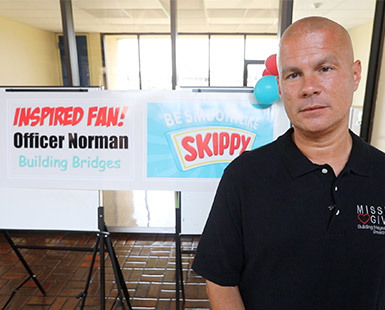 Producers heard about someone named Officer Norman who was bridging racial divides; in short, changing the face of a North Little Rock community. The reaction from viewers was astounding. Speaking engagements poured in. Rapper Jayceon Terrell Taylor (known as The Game) learned of Tommy and started a Go Fund Me page, raising $72,000 to help him continue his ministry. The donation became seed money for Mission Give, Tommy’s foundation. People throughout the United States and beyond logged on to Twitter, Instagram and Facebook to follow Officer Norman, eventually surpassing the 1 million mark. They fell in love with the likes of Miss Carol, 98-year-old Mr. George, the Breakfast Club and the All-Star Crew, four differently abled siblings. Gifts come to the foundation for the people whose stories and photos Tommy shares on social media. “Most of these people will never meet the folks they’re helping,” he says, shaking his head in disbelief. He likewise touched hearts at Hormel Foods, whose Skippy Foods plant in Little Rock, Ark., resides not far from Tommy’s home base. Team members were already following him on social media when they noticed he wasn’t able to resist SKIPPY® P.B. Bites of the Double Peanut Butter variety. “He’s posted at least three times about how he can’t walk through the peanut butter aisle without grabbing a supply,” says Brian Olson, a member of the Hormel Foods corporate communications team at Hormel Foods. Curiosity piqued, Brian and others set about learning more about the social media phenomenon. 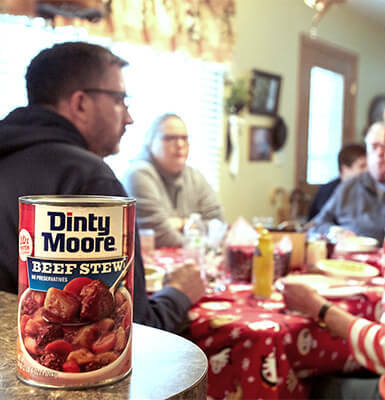 “We learned quickly that Officer Norman was much more than a SKIPPY® Peanut Butter-loving police officer. 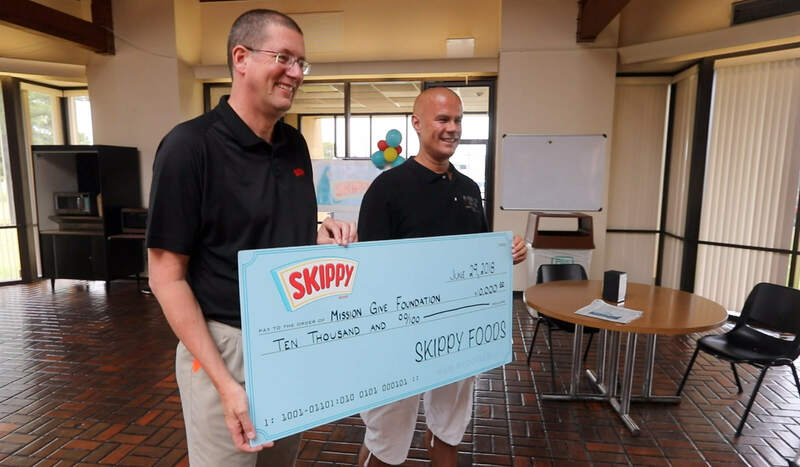 His impact in our Skippy Foods plant community and across the country was evident and inspiring to say the least,” Brian says. 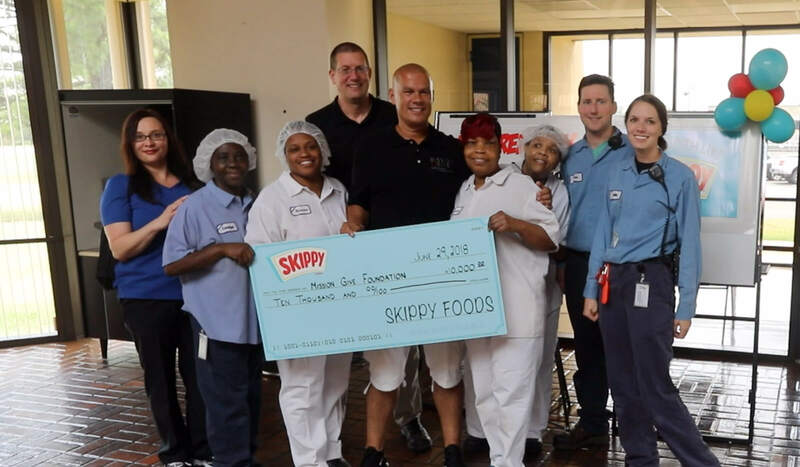 The SKIPPY® brand surprised Tommy in May with a large donation of peanut butter and a $10,000 check for his foundation. The company was there again several months later for Mission Give Day, a new annual event designed to help families come together and get their kids prepared for school. SKIPPY®-branded backpacks, snacks and school supplies came courtesy of Hormel Foods. Additionally, Hormel Foods employees teamed up with Matter, a nonprofit whose mission is to expand access to healthy foods, to pack 2,000 meals for Officer Norman to distribute throughout the community through his work with his Mission Give Foundation. Tommy is honest about the sometimes-overwhelming demands put upon him. Plenty of rest and a knack for time management help. The rest is inborn. Indeed, he is anything but average. “You just can’t sit home in your recliner with your feet propped up, expecting to make a difference. You have to get out there. You have to get to know people who are different,” he says. It doesn’t happen overnight, he insists. You have to build trust, and that takes time. But this much is certain: You don’t need a uniform to do it. In fact, he’s adamant that it’s not the badge, it’s the heart that has the power. “If this kid from North Little Rock, Ark., who didn’t really know much can get out and inspire people, then anyone can do it,” he says. As for why he does it?